Swansea City is one of the two Welsh teams that play league football in England, the other being Cardiff City. I feel the need for competition and better TV rights pay led to these two teams fleeing their domestic league for the more publicised English league. Swansea gained promotion to the more lucrative EPL from the Championship through a playoff match against Reading, winning 4-2 at the New Wembley Stadium. 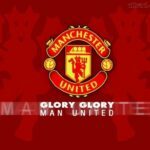 They were however welcomed to the EPL in a bad way, with a 4-0 drubbing in the hands of Man City. I strongly tip the Swans or the Jacks as Swansea is known by their fans to remain in the EPL come May when the EPL season ends. Despite United’s poor form I was certain Swansea couldn’t cause an upset. 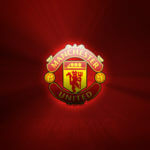 And with Newcastle losing to Man City earlier in the day, the Red Devils didn’t have a choice but to win and win well. Brendan Rodgers is a wonderful coach because to bring a team to the EPL from the 2nd tier of English football in his 1st season in charge is a massive feat. Unfortunately this was the Epl and Swansea were up against its reigning champions. Not surprising United would go on to claim a 1-nil victory from this fixture. The margin of victory is proof that they are still far from being in the form they started the season with. It’s fair to say Swansea gave a good account of themselves. Scott Sinclair and Nathan Dyer were constant threats to the United defence. The Red Devils’ defence was a bit better than it has been in the past few weeks. Guess the Rio and Vida partnership is back. After the 6 -1 defeat to our noisy neighbours (Man City) this particular fixture makes it the 5th game on the bounce that Man Utd haven’t conceded a goal. However United’s attack has been a wee bit goal shy. We’ve managed just 3 goals in the last 3 league games. From a neutral’s point of view, Swansea did enough to draw the game. Well the Swans’ loss could be blamed on Angel Rangel after his error led to veteran Ryan Giggs robbing him of the ball and squaring a pass to goal hungry Chicharito who scored in the 11th minute to give the Red Devils the lead. Sinclair could have brought the Jacks level but he pulled a TORRES. He simply couldn’t score with just the goal at his mercy. Also it would be lovely if Mr Rooney could please bury chances that come his way. I do not understand this need to chip or score beautiful goals, when a shot or tap in would suffice. I noticed he started this rubbish since he was nominated for the Ferenc Puskas award (FIFA goal of the year award). I would love to throw tantrums at Rio Ferdinand but I will save it for another day, as his performance was without faul. After Giggs, Ferdinand is my choice for man of the match. Scott Sinclair, Nathan Dyer and Michel Vorm (Swansea’s goalkeeper) did impress me. French left back, Evra had a torrid day, blunder after blunder saw him pick up a yellow which led to a Fabio swap. The Brazillian did a wonderful job deputizing. He went forward when he needed to and he didn’t let Dyer breathe. Michael Carrick was awesome in midfield for Man Utd and he made the most accurate passes on the night. A 3rd straight 1-0 victory for Man Utd in the league. That’s another 3 points in the bag for United as they try to keep pace with rivals Man City. Chelsea lost their 2nd home game in a row 2-1 against Liverpool. Arsenal and Van Persie I hail o… 5 straight victories and 13 goals in the league respectively. Sepp Blatter might be wrong with his comments no doubt, but I notice that it’s mostly the British that have stood up in condemnation. Could this be because they didn’t get the 2018 world cup hosting rights? That’s my conspiracy theory and I’m sticking to it.